QuickRead’s Technical Editor, Roberto Castro, reviews BVRs What It’s Worth: Brewery Value. This is a market niche that is highly regulated, segmented, and one where new business models are cropping up. The craft brew industry is roughly broken down into four market segments, those segments are: brewpubs, microbreweries, regional craft breweries, and contract brewing companies. The BVR Special Report, What It’s Worth: Brewery Value does not devout one or more chapters to these segments, instead, it provides an overview of the “craft brewing” market and distribution channel issues that regional craft brewing firms encounter. If you are interested in knowing more, this special report is a good starting point. You can read up and visit different establishments to better understand the distinct segments in this industry. This special report was published in 2016. Chris Horner served as its editor. The material for this publication came from Courtney Sparks White of Clarus Partners and Mr. Horner. Mr. Horner states that in this “special report…you get advice from top experts who work with craft breweries and study valuation issues associated with this industry. These experts walk you through the very specific factors involved in brewery valuation; from the best valuation approaches to use, considerations for valuing the buildings associated with the brewery, the specialized equipment needed to produce beers, and the value of key personnel who operate the brewery, such as the brew master. Section I, begins with a focus on key value drivers in craft breweries. There are no surprises here. The key drivers are cash flow, capacity, and key personnel. The first key driver mentioned is cash flow. In this section, White writes as to when, under the Income Approach to valuation, to utilize the discounted or capitalized cash flow method, “the capitalized cash flow method could make sense in a valuation for a brewery that is more stationary in terms of where they arefrom a margin perspective, or from a growth perspective, or depending on what jurisdiction they are operating in.” However, “since the craft brewery industry is ‘exploding’, many craft breweries have insufficient historical cash flow and earnings data for the capitalized cash flow method to be used.” White adds, “for that reason, the discounted cash flow (DCF) valuation method…will be the method of valuation for many craft breweries.” The above approach is, in this reviewer’s experience, highly unusual for microbreweries and brewpubs. It may be more applicable to a regional brewery that has an established brand or seasoned distribution channel. While the craft brewery market has gained market share vis-à-vis the more established brands, the growth is not correlated with value. This is a highly regulated industry where distribution channels are essential, consumer tastes change, and the price of hops and other materials makes squeeze margins. Although not on point, it is important to recognize that double digit growth has its limits. Consider the Boston Beer Company (SAM), a regional leader in the craft industry with established distribution channels, saw its shares fall significantly in value; shares closed at $201.91 on December 31, 2015 and a year later, closed at $169.05 on December 20, 2016. How could this happen? Sales of seasonal brews softened up in 2016 vis-à-vis 2014 and 2015, when sales grew at close to 14% and 0.5% respectively. As for capacity, White describes “existing-capacity…as a really important value driver.” The number of kegs and ability to store is important, but it is also a cost. Microbreweries and brewpubs will usually have an assortment of kegs for in-house or delivery. Those kegs include a barrel, half keg, Bubba, Torpedo, and Pony Keg. It is important for the owners and valuation appraisers to understand how each of these translate into 16 and 20 ounce beers, what kind of waste occurs, and how long beer can be kept in these containers. Unsold beer in a container is a serious cost for these businesses. Section II of the special report delves into valuation methods and considerations for breweries. Ms. White discusses the use of the Cost, Market, and Income Approach. The Asset Approach is tied to the value of the equipment. While that is true, in this writer’s experience, the Asset Approach is more often than not used to value small breweries and brewpubs. The value of inventory is likewise an important consideration in the valuation engagements. White adds that excise taxes can have an impact on the cost of goods sold. At the time of writing, she notes that Congress was considering the Craft Beverage Modernization and Tax Reform Act (CBMTRA). Despite Senate support and the promise of eased taxes and restrictions, it remains stranded in Committee. As noted earlier, this industry is regulated and knowledge of the issues and pending legislation is important. The special report treads lightly here. In this section of the report ,space is made to present two court cases focused on distribution agreements. Those state cases are Warren Distributing C. v. InBev USA, LLC and TriCounty Wholesale v. Labatt USA Operating Co., LLC. The former is a New Jersey case that involves the 2006 New Jersey Malt Alcohol Beverages Practices Act. 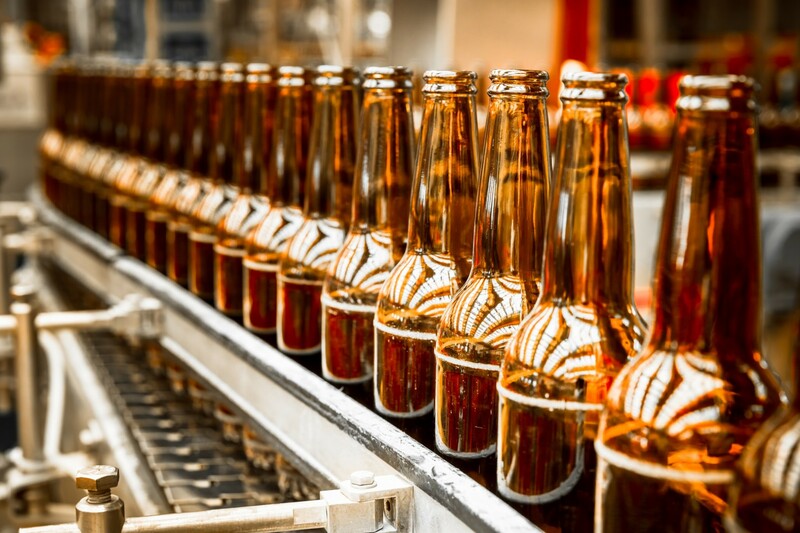 This law barred successor brewing companies from terminating its predecessor’s wholesale distribution agreements without paying fair market value to the wholesalers for any terminated brand. The second case involves a suit filed in Ohio by distributors who were informed that their distribution agreements were terminated. These distributors sued Labatt’s for damages for loss of brands. Each case is discussed in detail. Section III focuses on buy-sell trends in the craft brewery market. This is a short section and contains 2014 industry data from the Brewer’s Association. The section identifies some 2015 M&A acquisitions. The section is of limited use to valuation practitioners or consultants that hope to guide owners and their family successfully exit the brewery business. The second part of this section focuses on How Succession Planning Builds Craft Brewery Value. The discussion here borrows heavily from comments made at a 2014 Craft Brewers Conference in Denver that featured industry veterans. The panelists included Kim Jordan co-founder of New Belgium Brewing; Dan Kopman, co-founder of Schlafy; and J.B. Shireman, vice president of First Beverage Group. Six succession options are presented in this chapter. Steve Gido, of Rusk O’Brien Gido + Partners, also discusses the options and issues that smaller entities encounter. The chapter also provides some valuable information to readers that are interested in knowing more about the regulatory, legal, and tax considerations encountered in exit/succession planning. Section V provides information on Financial and Valuation Data for Craft Breweries. The information provided comes from BizMiner. This section also includes a chapter on Pricing a Brewery: Rules of Thumb. The data for this chapter was current as of February 2016, and comes from IBIS World. This said, it is not a full IBIS World Industry Report. The final chapter provides financial metrics and business model resources to readers. In conclusion, this is a resource aimed at appraisers that are new to the industry and just want an to learn a little. It does not deliver the level of detail necessary to understand the various segments and speak “beer”, but it is a start. One can develop the in-depth knowledge in other ways. So, find a comfortable chair. Get that growler out of the refrigerator, pour yourself a pint, and start reading. Kegators.com in response to a question regarding how long beer will stay fresh suggests that with clean kegator lines and the equipment working properly, the beer may stay fresh for up to 4 months. In a regular keg, the beer may stay fresh for 6-98 weeks. Roberto H Castro, JD, MST, MBA, CVA, CPVA, CMEA, BCMHV is an appraiser of businesses, machinery and equipment, and Managing Member of Central Washington Appraisal, Economics & Forensics, LLC. Mr. Castro is also an attorney with a focus on business growth and succession planning with offices in Wenatchee and Chelan, WA (home to many small wineries). In addition, He is Technical Editor of QuickRead. Mr. Castro is knowledgeable of the industry and can be reached at (509) 679-3668 or by e-mail to rcastro@cwa-appraisal.com, or rcastro@rcastrolaw.com.